Although the documentation tell that it is possible to embed custom controls in Business Process flow, it does not tell explicitly on how it can be done. I could find some really wonderful posts there and I would sincerely suggest you to read this. Now coming back to this article. 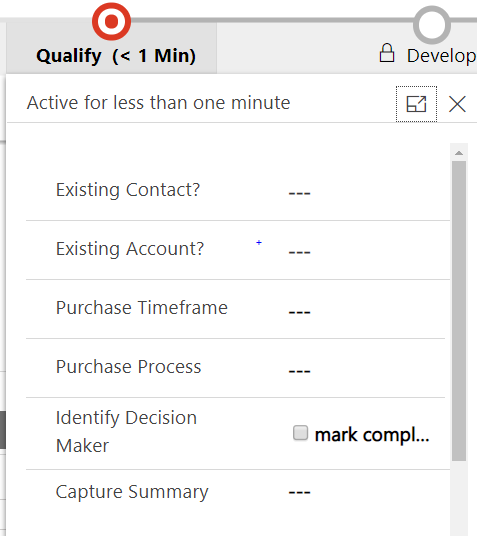 I have been asked about how to put custom controls in Business Process flows for sometime by Customers but all this time I said “No it can’t be done”. But now we can do that. So without wasting more time let’s do it. Let’s take the simplest business process flow here which comes OOB – “Lead to Opportunity Sales process”. 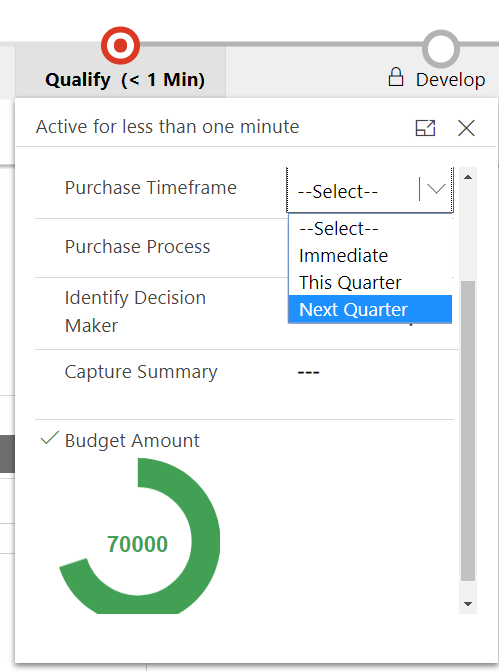 As you can see from the above screenshot, there is field called – “Estimated Budget” which is of type currency in the first stage of the business process flow which is Qualify. Normally this would render as a textbox in your business process flow. How about rendering it as more visually appealing control. But wait you need to do bit of XML manipulation here. So let’s follow the steps. In the solution add the Lead Entity using “Add Existing” feature and add only the Lead form for the entity. We all know that corresponding to each Business Process flow, an entity is created in CRM. 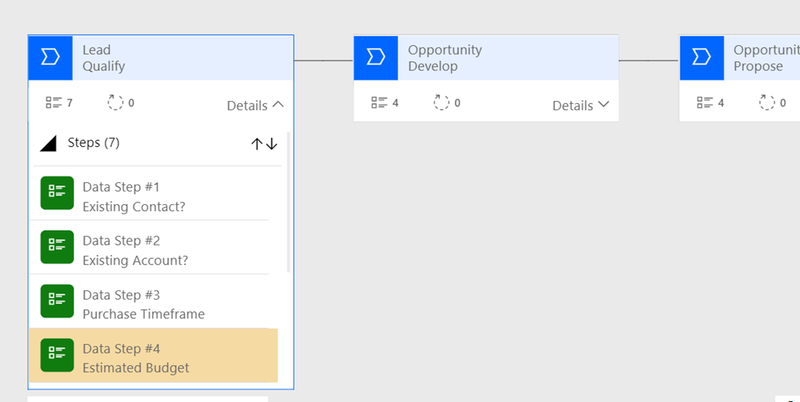 Add the entity corresponding to our Lead to Opportunity sales process flow. The entity name will be same as the Business Process flow name. You should should look like this. I put both the fields on the form. I go to the field properties and change the control for Budget amount to Radial Knob and for Purchase timeframe to Optionset. I save and publish the form. Now when I open the lead form, I could see the new controls on the form but the business process flow still shows the old controls. So changing at the form level is not making the change at Business process level. So let’s accomplish this. Export your solution as Unmanaged and once the solution is successfully exported, unzip your unamanged solution. Three files as you can see. No surprise in this. Open customizations.xml in an editor of your choice. What we will do hear is make the changes for budgetamount field in BPF but keep purchase timeframe untouched. 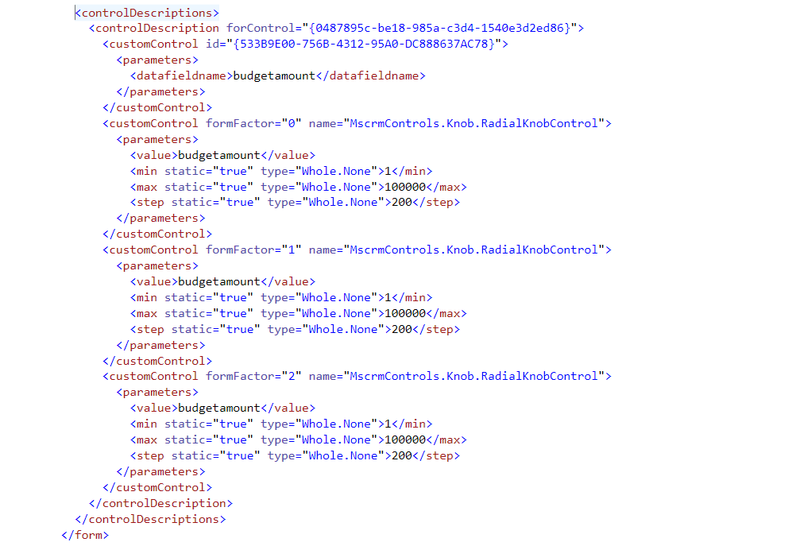 In the lead form xml of the lead entity search for “budgetamount” field. The important thing here is the uniqueid highlighted in yellow. Make a note of that. So we have copied the uniqueid value and the Control description. Now within the entity of our Business process flow, you would find 4 tabs. These tabs are nothing but stages of the business process flow. 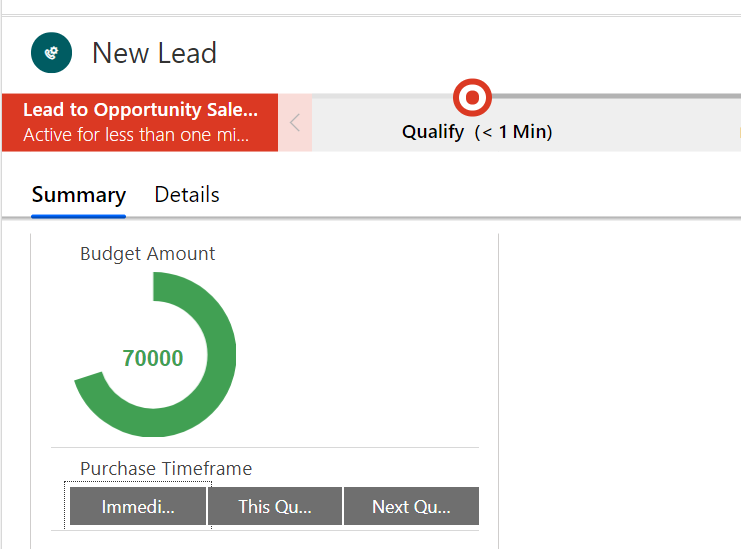 If you remember, the Lead to Opportunity sales process flow has four stage and hence four tabs. Also if we remember, our budget amount field was in the first stage – Qualify. So expand the first tab and locate for the budgetamount field. Put the uniqueid attribute as we copied earlier. 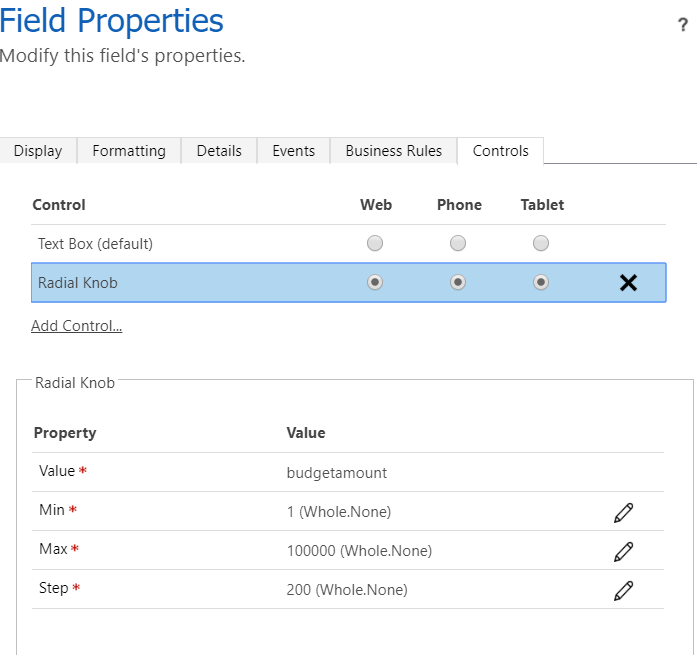 Now after the tabs section, place the customControlDescription that you copied earlier for budgetamount field. Please note it should be inside <controlDescriptions> tag. All done. Save your customization.xml and re-zip your files. Import the new zipped file back to your environment. 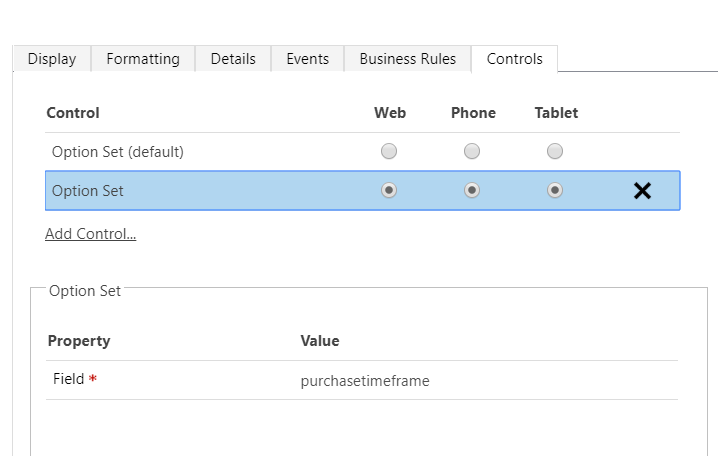 And now you can see the wonderful custom control in your Business Process flow as well. You must be seeing Purchase timeframe is still rendering as regular optionset. The reason is we didn’t do anything for that field. We just modified the Budget amount field. Take it as lab exercise and do it yourself. The powerusers blog link is broken, maybe these feature was pulled out of the official release, but this is a very clever workaround!